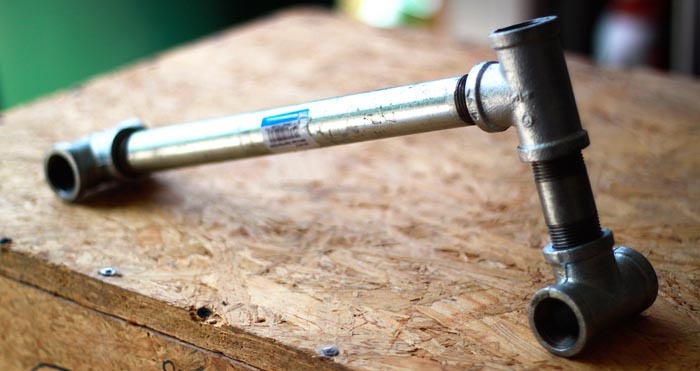 Today, let’s build a DIY mini deadlift jack! You know what’s not fair? 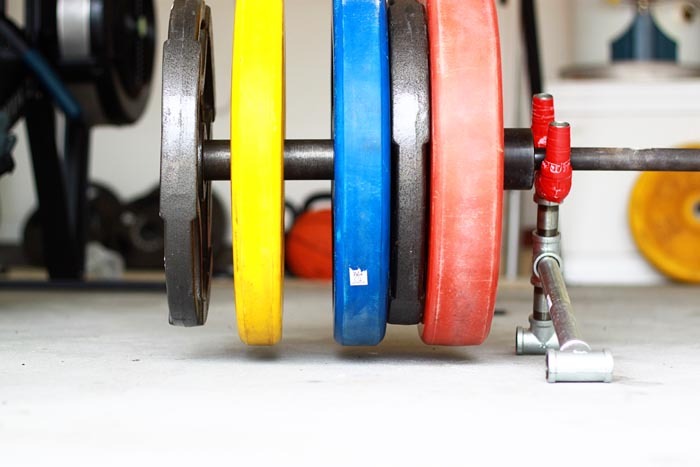 The fact that when you bench press, strict press, squat and many other lifts, your barbell rests nicely on a rack, making removing weight and adding weight a breeze. What about the other lifts? You know, the ones that start from the ground? Why does it have to be so hard to load and unload the barbell; it’s not fair. Ok, ok, it’s either not fair or we are all inherently lazy – even when working out. Either way, let’s even the playing field with these from-the-ground lifts! Please welcome the mini deadlift jack to your DIY arsenal! I first saw this product at Rogue Fitness (check it out here) and I thought it was cool, but I couldn’t justify spending $60+ to make loading and unloading a bar a little bit easier. 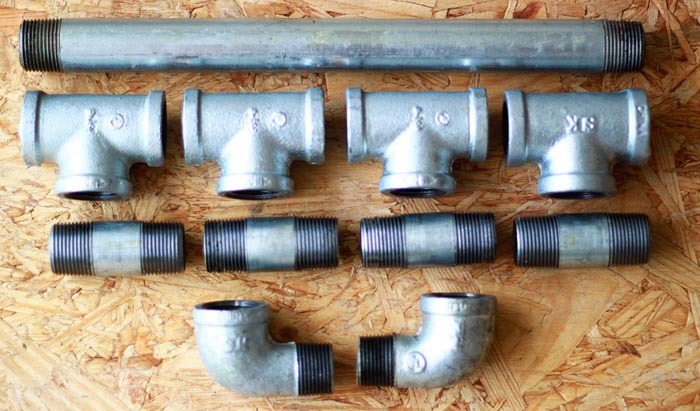 But I was at home depot the other day researching the Jerk Box DIY project (coming soon) and I ended up in the plumbing section, started looking at some pipe and within 10 minutes I had pretty much assembled this project in the store…too easy, so I have to share it. 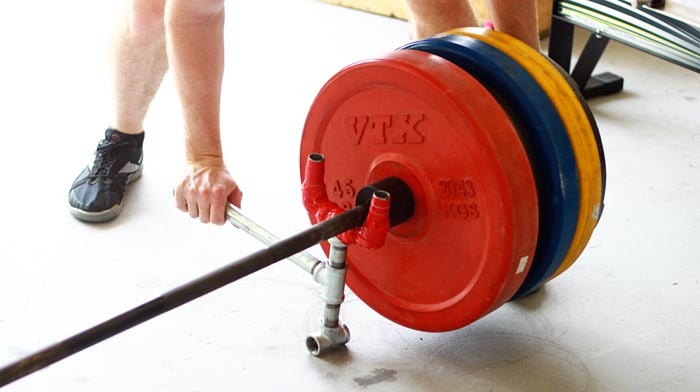 It’s up to you to decide if making your loading and unloading of a barbell a little bit easier is worth $30, but it’s a fun and easy project. 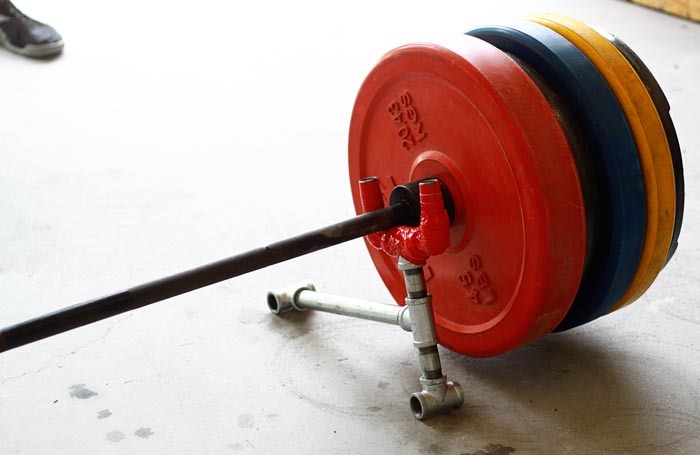 I have found this little tool very useful, especially with really heavy deadlifts. Well, enough chit chat, let’s get started. Difficulty – EASY. If you can’t do this one, there is no hope for you. 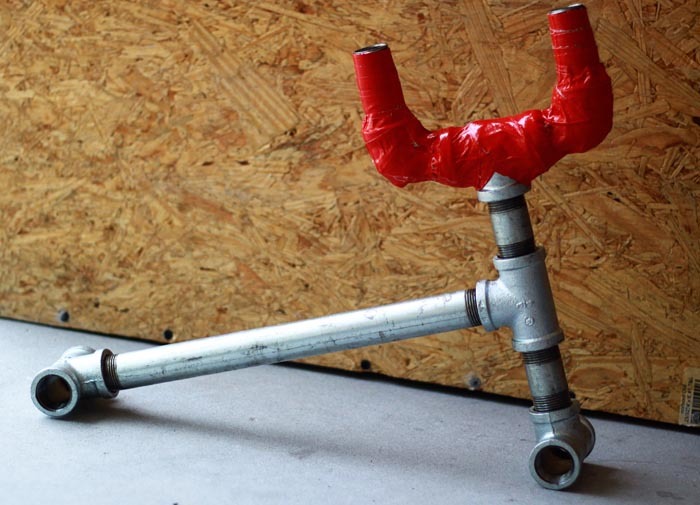 Duct tape…This is optional because the mini deadlift jack is 100% useable without the application of any sort of tape. However, it doesn’t take a rocket scientist to realize that metal rubbing on metal is not usually a good thing i.e. why we have oil in our cars… So, overtime, without the tape, the mini deadlift jack will rub, scuff and scratch your barbell. It isn’t a huge problem, but as you know I have a very serious relationship with my barbell, and want to keep it looking fresh. After writing this, I realize the text can be more confusing than necessary. Just look at the pictures, it is extremely simple. Putting it into words makes it more complex than it seems. 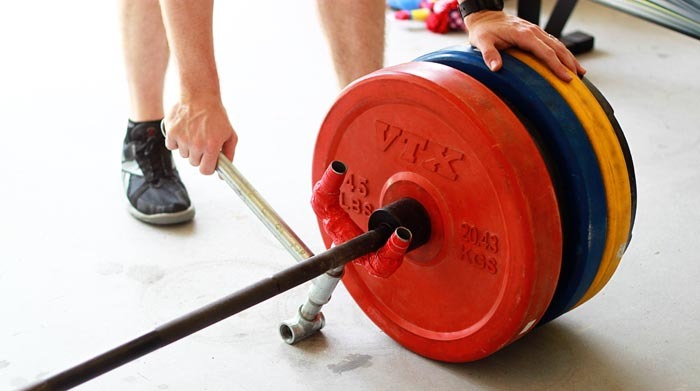 Connect a 2.5″ piece into the previously stated tee piece, pointed downward, and connect your final tee piece on the end of your 2.5″ piece and make sure that it is parallel to the tee piece at the end of the mini deadlift jack. If they are not perfectly parallel, and tight, it will make for a wobbly mini deadlift jack. Add a 2.5″ piece to the top of the upward facing tee piece. Now we have the main structure for the mini deadlift jack. Make sure all of the pieces are extremely tight. Also, I’ll say it again, make sure the two tee pieces that are touching the ground are very tight and perfectly level with each other. Very easy step here. 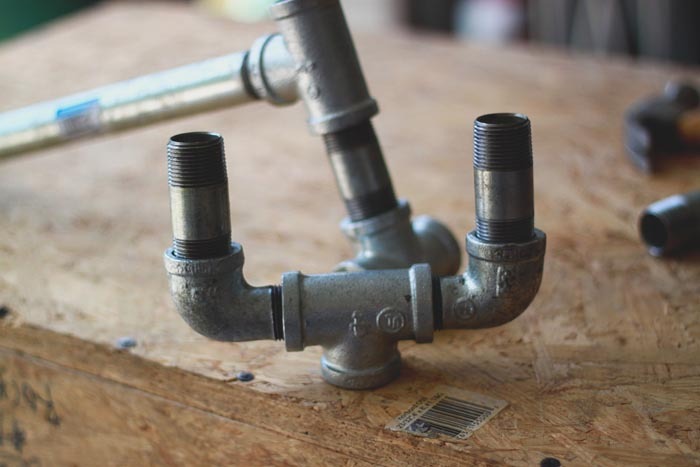 Take a tee piece and put both elbow joints so that they are tight and parallel. 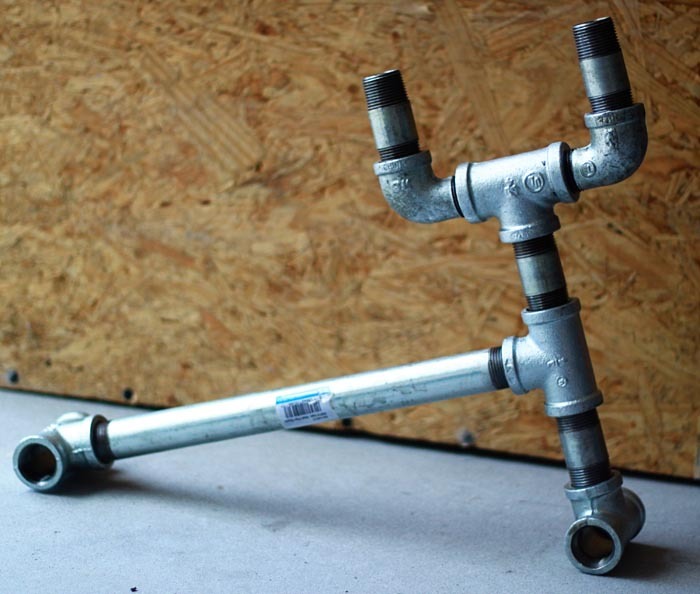 Next, put your last 2.5″ pieces and screw them into the elbow joints. Simply screw this piece into the mini deadlift jack main structure and you are pretty much done. If you want to add the tape it is easiest to add the tape before you screw it onto the mini deadlift main structure. That will leave you with a finished product as seen below. Step 4: Use your mini deadlift jack! It is very easy to use, but here are some things to know before you try it out. 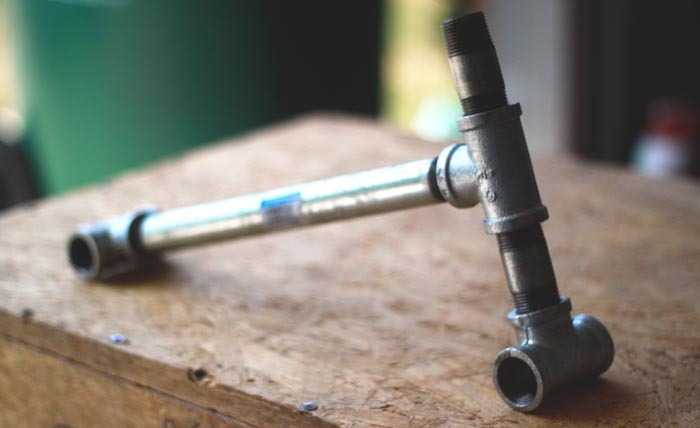 Place the mini deadlift jack firmly on the bar where the elbow joint and 2.5″ piece connect, and on the ground. Carefully apply force to the lever and do not get your finger crushed under this thing!! I normally guide the barbell with my other hand by putting it on the sleeve of the barbell, just to make sure there is no catastrophic failure, so far so good. There should be just enough clearance, no matter if you have bumper plates or iron. As always, if you need help with this project add it to the comments. Happy lifting (from the ground)! P.S. BEFORE you add it to the comments, or if you just want an alternative. Yes, rolling your weight onto a 2.5 lb plate works well for racking and unracking your weight too. But it’s not near as cool.